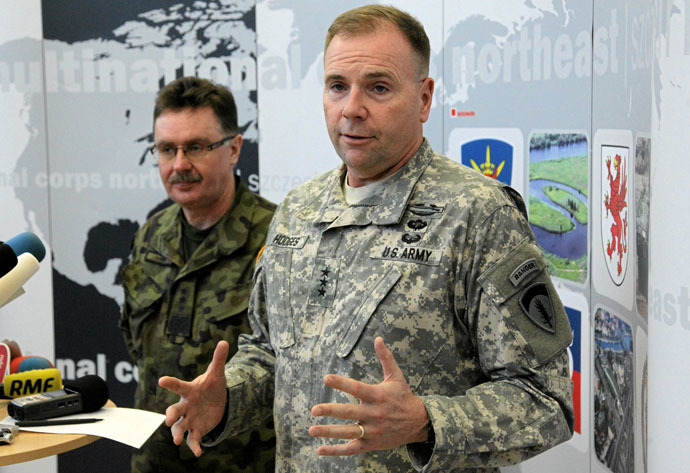 The US military will train Kiev troops fighting against militias in southeast Ukraine, Ben Hodges, US Army Europe commander, said hours before the start of “Normandy Four” talks dubbed a “last chance” for the peaceful resolution of the conflict. The training, which is scheduled to kick off in March, will see a battalion of American troops training three battalions of Ukrainians, he said. “We’ll train them in security tasks, medical [tasks], how to operate in an environment where the Russians are jamming [communications] and how to protect [themselves] from Russian and rebel artillery," Hodges was cited as saying by Reuters. Hodges’ recent statement echoes a similar announcement he made in Kiev in January. At the time, he did not provide information on the numbers of US troops participating. Previously, the Pentagon said that the US military training would be provided to 600 members of the Ukrainian National Guard, The Washington Post reported. The officers from the 173rd Airborne Brigade Combat Team in northeast Italy will be deployed to Ukraine as part of the plan, said Pentagon spokeswoman Lt. Col. Vanessa Hillman. According to Hillman, the military aid requested by the Kiev authorities was to help the formation and strengthening of the National Guard, which Kiev launched shortly after the coup in February 2014. The March training will be held at the 40,000-square km Yavoriv Training site close to the Polish-Ukrainian border. This is the largest military firing range in Europe, near the western Ukrainian city of Lvov. 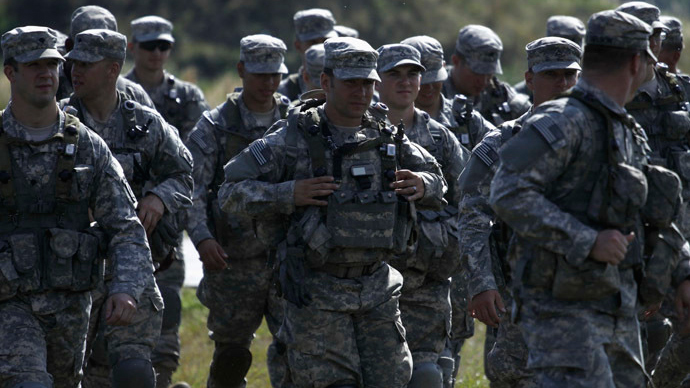 A delegation of US Army instructors has already arrived in Kiev to discuss the details of the program with the Ukrainian military officials and examine the training sights, LifeNews reports. The Donbass volunteer battalion will be one of the first to get US military training, Semyon Semenchenko, the unit’s commander, wrote on social networks. The National Guard troops will be exercising according to “the traditional training systems of the US Navy Seals and Delta Force,” Semenchenko said. Since the fighting began in southeast Ukraine, the National Guard has been repeatedly accused of war crimes, including deliberate artillery fire at residential areas in the Donetsk and Lugansk Regions, and of blocking humanitarian aid for the regions. Last September, an Amnesty International report confirmed that abductions, executions and extortion had been committed by the Aidar volunteer battalion. Earlier this week, Obama said that the US was also examining the possibility of supplying “lethal defensive weapons” to the Kiev authorities. The plan is opposed by both Russia and the EU, who agree that there can be no military solution to the Ukrainian crisis. The leaders of the “Normandy Four” (Russia, Germany, France and Ukraine) are holding a meeting in Minsk, Belarus on Wednesday in an effort to restart the peace process to end the conflict in southeast Ukraine. 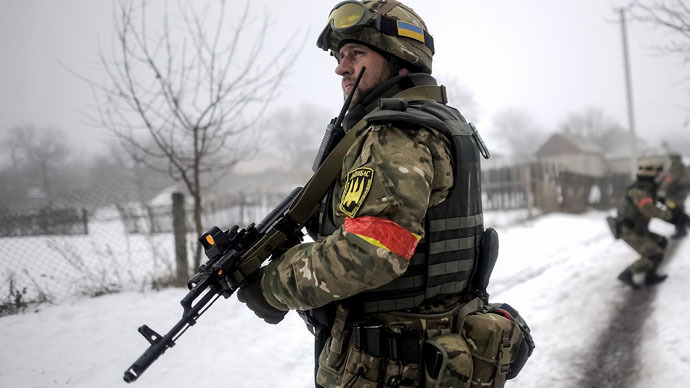 According to sources, the talks will center around the creation of a demilitarized zone, the withdrawal of heavy weaponry, and the initiation of dialogue between Kiev and the rebels.